Arguably the most common symptom of menopause, hot flashes are uncomfortable and stressful. Affecting not only daily life, but also quality of sleep, they can be much more than a passing nuisance. They are often the main reason women at this point in their lives seek treatment. One of the many herbal medicines that has been investigated for alleviating hot flashes is evening primrose oil. But does it actually work? Is Evening Primrose Oil Good for Hot Flashes? Despite its recent popularity, evening primrose oil has generally been found to be not very effective for alleviating hot flashes and other menopause symptoms. 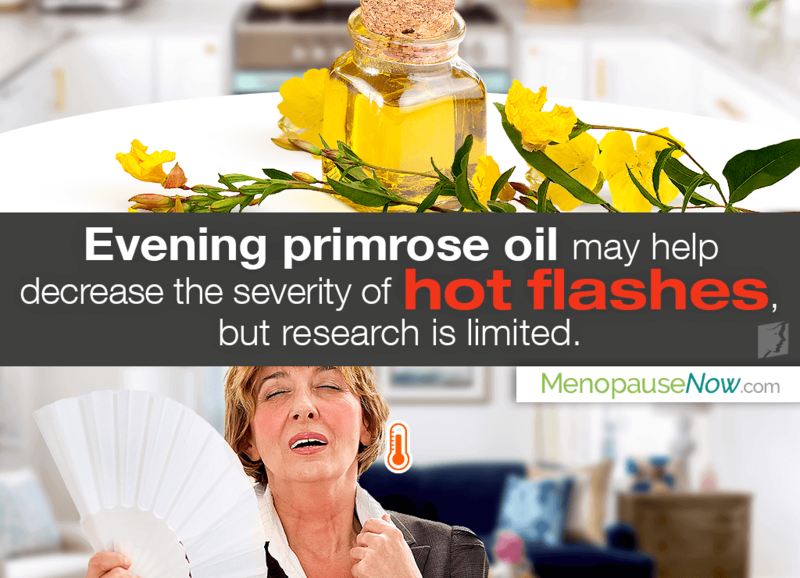 Some women have reported small benefit from evening primrose oil, but this was only in the severity of hot flashes and not their duration or quantity. In other words, though their hot flashes were less intense, they were not shorter or less frequent. Evening primrose has been evaluated for treating several conditions, and it appears that results are mixed. That being said, it doesn't seem to be the most efficient choice for treating menopause symptoms like hot flashes. What Other Herbal Treatments Are There? Black cohosh is well-known for decreasing the intensity and frequency of hot flashes. Chasteberry reduces breast pain and soreness. Dong quai has been used for hot flashes, high blood pressure, and headaches, as well as infections. Red clover extract is an effective treatment for hot flashes. Ginseng can improve mood and reduce hot flash episodes. Some studies that suggest evening primrose oil has side effects, while other researchers believe it's ineffective. However, some middle-aged women who have participated in studies report it effectively relieves menopause symptoms, especially hot flashes. Different treatments work better for different people, so click on the following link to find out more about alternative treatments for hot flashes.